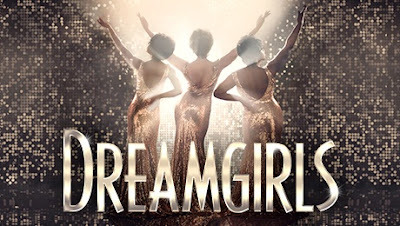 Over the years, Dreamgirls has become associated with some huge names - from its breakout star Jennifer Holliday (who went on to win a Tony for her performance), to the likes of Beyoncé and Jennifer Hudson. In this new production at the Savoy - the first in the West End - it's the turn of Glee's Amber Riley to take on the formidable role of Effie White. Does she do the role justice? Hell yes, and then some. Far more than just a flashy diva with a powerhouse vocal, Riley's Effie embodies female empowerment - a woman determined to reach stardom off her own back, yet tragically self-sabotaged by her own ambition. She's a character who resonates some thirty-five years after the show premiered on Broadway, fighting against a patriarchal music industry and refusing to be manipulated into another's success. Yet there's more to Dreamgirls than the struggles of one would-be star. It's a show about showbiz and a cutthroat music industry; about the clash of business and relationships; about the power of sisterhood and female emancipation; and about black sexuality in a white-dominated world. And as a backbone there's the rise of R&B music through the 60s girls groups that inspired the plot (namely The Supremes), embedding the show in the history of pop music. Still, nothing can distract from Riley's stunning vocal performance. Sitting somewhere between the raw depth of Holliday and the smoother pop sound of Hudson, her voice is technical perfection with precise runs and crystal top notes. She balances sweetness and sass in an endearingly youthful concoction that belies a strength and maturity bubbling beneath the surface. That erupts in her impassioned, gut-wrenching rendition of "And I Am Telling You..." that quite rightly had the audience roaring with appreciation at this particular performance and for the remaining showtime the merest quiver of her lips was enough to draw gasps. Supporting her are a hugely talented cast who stand strong in their own right. Liisa LaFontaine is an arrestingly beautiful Deena Jones whose pure voice is the ideal foil to Riley's Effie, whilst Ibinabo Jack's Lorrell Robinson is far from the 'poor Michelle' of this sensational trio. Then there's Adam J Bernard's Jimmy Early proving the men can entertain as much as the women, and Tyrone Huntley offers silky vocals as C.C. White. Matching the narrative is a set that cleverly changes perspective as we glimpse behind the scenes of each show-stopping performance, the characters wearing beautifully crafted costumes dripping with jewels and sequins. Alongside a tight band, the show is an aural and visual spectacle that marries the best of live theatre and pop music. It is simply unmatched in the West End and after such a huge wait, audiences are likely to be hungry for quite some time. Dreamgirls works on every level, from a richly layered narrative to pure entertainment. It's a production that shows the glamour and hardship of showbiz in every element. Polished choreography and high production values dazzle, but it's the raw performances that prove this dream of a show has real soul. 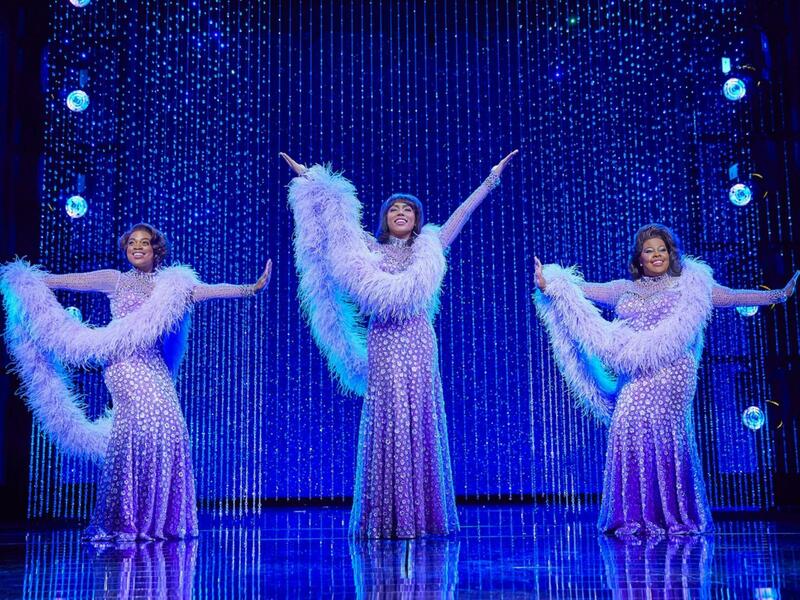 Watch: Dreamgirls runs at the Savoy Theatre until May 2017.